The head of Samsung Group Jay Y. Lee was questioned for a second time on Monday as a suspect in South Korea's biggest political corruption scandal which could lead to the impeachment of President Park Geun-Hye. 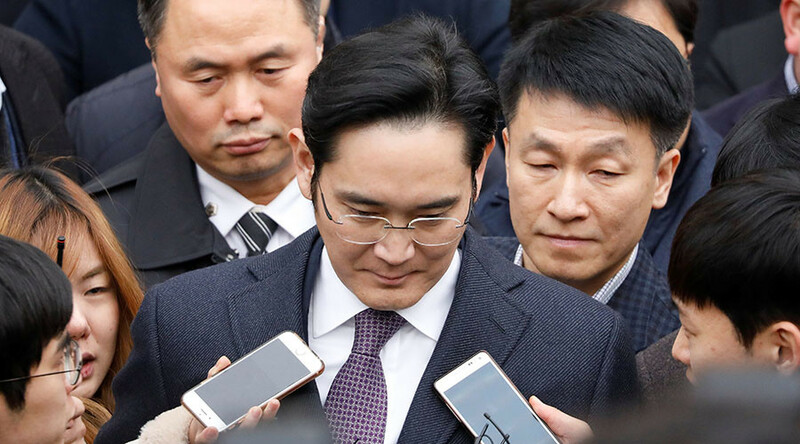 Lee is suspected of pledging $37.31 million (43 billion won) to a business and organizations backed by Park's secret confidante, Choi Soon-Sil, in exchange for approval of the 2015 merger of two Samsung companies. Investigators are expected to decide whether to again seek a warrant to arrest the 48-year-old Lee. "I will once again tell the truth," he told reporters before the hearing. Lee was questioned with several other company executives in January, but prosecutors decided there were insufficient grounds for an arrest. During the past weeks, they have reviewed the case and found new aspects that required further questioning. A spokesman for the special prosecution office Lee Kyu-Chul said prosecutors would consider whether to seek arrest warrants for four other Samsung executives who are also identified as suspects. Previously the prosecutor's office said it would not seek arrests for any Samsung executives other than the company’s CEO Jay Y. Lee. The head of Samsung, who first gave evidence in front of a parliamentary hearing in December last year, admitted giving $17.46 million (20.4 billion won) to the two foundations. He, however, denied seeking favors in return. Lee also confirmed the company gave a horse and money to help the equestrian career of Choi's daughter but said he now regretted that. 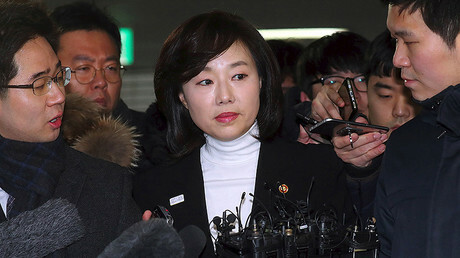 President Park has denied any wrongdoing but apologized for the way she managed her relationship with Choi. The secret confidante is on trial for charges including corruption and coercion. She also denies committing criminal offenses. According to the investigation, an old friend of the president, Choi who held no government position, was allowed to edit political speeches. The South Korean parliament impeached President Park over the scandal last December. Park formally remains president but has been stripped of power until the Constitutional Court decides whether to back the decision.